provide the perfect power and data distribution solution for modular connectivity in office conference rooms and boardrooms. 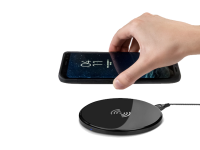 Easily expand and modify your connectivity options with our selection of products. 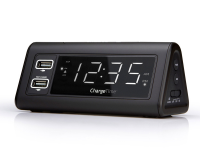 Whether you require USB or Ethernet connections along with pop up power plugs we have you covered. Moreover depending on you preference of appearance we offer both in desk and desk mount options. Nonetheless, if you are simply looking for a standard metal or plastic desk grommet to protect your wires from harmful edges while also maintaining a professional look for your desktop look no more. 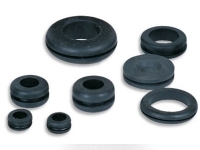 Lastly we have numerous sizes of rubber grommets. Messy wires and unsightly cords are not only an eye-sore, but also pose a significant safety hazard. 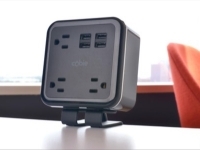 This is why desk outlets are the perfect solution for all your cord management needs – they not only provide effective data and power connectivity solutions in the office and home, but also make power, Ethernet and USB connections safer to access. We provide a wide range of desk outlets to suit all your needs. From removable desk outlets to built-in desk outlets and pop up desk outlets, we offer effective solutions for your power and data distribution needs. Whether you want a desktop outlet installed into your desk for easy access or a flip up desk outlet for an elegant look, we have you covered. Built in desk outlet - this type of in desk outlet is designed to be permanently installed into your desk. 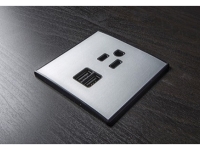 With these desk outlets, you can have options such as in desk USB with power. Often, desks and desk units already have holes drilled in the underside or on the surface to accommodate running cables. Other times, it is up to the user to drill cable holes for running wires. Removable desk power outlet–this is a type of portable table top power outlet which can be placed at the top of a desk for easy access to USB, Ethernet and power outlets. 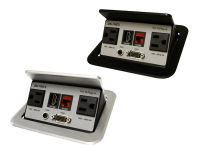 Pop up desk outlet–this type of retractable desktop outlet is designed to pop up out of your table or desk and provides multiple power and data ports. 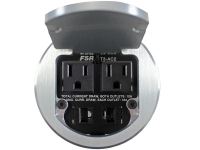 Other types of powered desk outlets include a flip up desk outlet with multiple ports which has a flip over cover. Browse our wide range of desk mount and in desk options to find what you need today. Grommets are eyelets which are placed in holes to insulate or protect the cables passing through it. These can be placed in countertops, work stations, desks, tables and floors for effective wire management which also looks good. 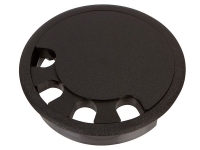 We carry many varieties of desk grommets, from sophisticated powered desk grommets in wood, plastic, rubber or metal with flexible or sliding covers to simple plastic, metal or rubber grommets which can protect wires from fraying. Considering the different varieties of desk grommets available, it is important to know all your options before deciding on a specific type to provide efficient wire management. Some grommets are also customizable – these include USB and power connectivity solutions in addition to managing messy wires. Desk grommets can also include open data ports as a solution for your networking needs. Simple desk grommets –These include oval bottom desk grommets and round plastic grommets in metal or plastic for efficient cable management which can instantly de-clutter your home or workspace from ugly wires. 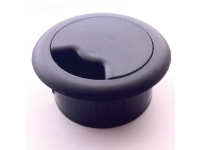 Floor access grommets – These are discreet grommets installed in floors for full access to power from underneath. Its rotating lid also prevents heels from snagging in holes. This comes in three different models, FG3, FG3A and FG3B. Rubber grommets and more –These are simple rubber grommets which include snap in bushings and universal snap in bushings. Bushings are very similar to grommets, but additionally help secure wires from vibrations and shock. These are particularly useful for items which have to be moved constantly. A desk outlet grommet can also be customized to function as an outlet desk grommet or a power and data desk grommet. 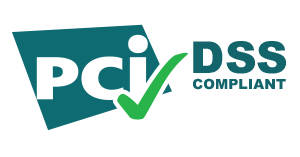 These provide effective power, Ethernet and USB connectivity solutions while ensuring that your cables and wires are not only protected, but are also managed in a way that your space looks clean and professional. A USB + power desk grommet is also a great alternative for simple rubber or plastic desk grommets – these units provide a number of socket options accessible from your workstation. You also have the option to go for an Ethernet desk grommet, a power tap grommet or a combination of both. These powered desk grommets can have up to 3 built in, rotating Ethernet/internet and power outlets which can be hidden or exposed based on your needs. Browse our wide collection of desk and floor grommets which can be used to make your space look clean, uncluttered and elegant.